Dogs can get intestinal worms from a range of sources. Typically, there are 4 common types of parasitic worms. These are roundworms, whipworms, hookworms and tapeworms. There’s a simple and effective method to get rid of them: with the best dog dewormers on the market. In this buying guide, we're going to discuss eight of the best deworming products on the market so that your canine companion can be happy and worm-free. Palatability – Does It Taste Good? Safety – Is It Safe? Clinical Testing – Has It Been Tested? Dog Size – How Big Is Your Pooch? Versatility (Cats) – Does It Work For Cats Too? Our best choice is the Panacur C dewormer, as it is designed to work fast and for most dog sizes. While other dewormers may be ideal for a particular type of dog, you can simply scale the dosage of this one based on your pet's weight, making it suitable for owners of several dogs. Keep in mind that the standard box only comes with three doses which are meant to be administered to a single dog over three days. If you have to treat more than one of your pets, there are also packs of two, three, four, and five of these doses. The larger packs are also perfect for bigger dogs. Since this dewormer is powdered, it will also be easier to mix into your dog’s food, though if it’s dry, you may have to add a bit of water to it so that the granules will stick. This is also a versatile formula, meaning that it can be used for many different kinds of worms, so you’ll have a comprehensive treatment at your disposal. Another benefit to this dewormer is its nearly complete lack of side effects. Your dog will likely not even notice that they're being treated for worms. While other treatments may require several rounds, this one from Panacur is designed to work over the course of three days, with no needed use further down the line. If you’re looking for the best treatment for worms on the market, this one is probably your best choice. While the Panacur dewormer may be a little more expensive than some of its competitors, it is also more likely to give you the results that you need in a short amount of time. For buyers that need to save a little bit of money on their canine dewormer but are still looking for a treatment that will work, this choice from Sentry is ideal. This pack contains two chewables that have been flavored for improved palatability. These chewables are mainly designed for use with smaller dogs and puppies. If you’ve been looking to treat a smaller dog but all of the other options are overkill, then this product should be perfect for you. When you buy the Sentry HC dewormer, you won’t have to worry about spending money on a proportion of the medicine that you won’t even use. Made for hookworms, ringworms, and tapeworms, this dewormer can eliminate seven different strains, making it a versatile choice. This treatment can also be used to prevent your dog from getting worms, provided that it is used once a month. Since the tablets are both chewable and flavored, they’re ideal for puppies who would otherwise refuse a worm treatment. You can also find these tablets available in a larger serving size for big dogs as well as a twelve-pack of tablets for smaller dogs, allowing them to build up resistance over time. The Sentry HC WormX is one of the most affordable options on this list, but unlike other cheap products, it doesn’t sacrifice treatment effectiveness. While it’s primarily made for smaller dogs and puppies, you’ll also be able to find a variant that is made for larger canines at a slightly higher price. While the previous model was meant for small dogs, this dewormer is intended for larger breeds, so it has a larger dosage per tablet. This dewormer pack also comes included with a total of 12 tablets, making it ideal for long-term treatment and worm control. The chewable tablets are easier for dogs to enjoy, and they even have an added flavor that makes them more appealing to canines that like to avoid medicine. This dewormer is meant to handle seven strains of worms so that you'll get near-complete coverage. The only missing kind of worm is the whipworm. Keep in mind that these tablets are meant to cure a dog of worms, and they don’t help improve the prevention of worms. The great value of the 12-pack also makes this one of the best products for owners of several dogs, as you can treat them all without spending more money on multiple treatments. If you own a large dog and you want to be sure that it’s free of worms, this treatment will make sure of it. This dewormer is also meant to be easier to use than others, as the tablets are flavored and chewable so that they seem more attractive to dogs. Keep in mind that these tablets aren’t made for use with pregnant canines. While this dewormer only comes with three pouches that are four grams each, it is made to enhance the treatment of larger dogs. Each of these packets is enough for 40 pounds of body weight, and they are meant to be administered over the course of three days at a rate of one pouch per day. This treatment can work with tapeworms, hookworms, whipworms, and roundworms, making it more comprehensive than many of the other options on this list. Since the medicine is in the form of granules, it will be easier to hide in your dog’s food, making it ideal for pickier eaters. When using this dewormer, you’ll want to be sure that your dog is over six weeks old, as it isn’t designed for very young pups. This canine dewormer from Excel also comes available in small, medium, and medium 2-pack formats, which will allow you to choose the right one for your dog’s size. Since this treatment works against eight different strains of worms, it is a great choice if you don’t know what kind of worms your dog has. Of course, you’ll still want to get your dog treated before choosing a diagnosis, as a dewormer will be useless if it isn’t used against the right strain. Bayer’s Tapeworm Dewormer is more of a no-frills product that is designed to work efficiently above all else. As you may have guessed from the name, this treatment is particularly formulated to deal with tapeworms, so it’s a little more specialized than some of the others in this guide. While these tablets may be a little more expensive than some of the budget options, Bayer has designed them to work fast. These tablets are also safe for puppies that are over four weeks of age, so you can start treating your dog at a younger age than with other medicines. The inclusion of five tablets means that you may have some extra at the end of the treatment, particularly if you have a smaller dog. This means that you may end up getting two treatments out of a single package, though bigger dog breeds will require the entire box of tablets. These dewormer tablets are made by one of the most reputable medicine makers around, so you won’t have to sit around worrying about whether or not they’ll work. The only disadvantages to these tablets are that they’re a little more pricey and much more specialized than your other options. The main benefit of this liquid dewormer from PETARMOR is its value for money. For a much lower price than many of the other treatments on this list, you’ll get at least three doses out of this dewormer (for a medium dog). The recommended serving size is 5 ml per 10 lbs of body weight. One of the advantages of this dewormer is that it can be used starting at a very young age. Where a lot of the competing dewormers will require that you wait for the puppy to get up to at least 4 to 6 weeks of age, this one can be used starting as young as two weeks. This dewormer works with both hookworms and roundworms, so you’ll be able to treat a decent range of strains. When using this dewormer with puppies, it is recommended that you use it in weekly intervals, transitioning to a biweekly schedule after the first four doses are administered. This PETARMOR dewormer is a great choice for customers who would like to save some money but would still enjoy the inherent benefits of a liquid dewormer. Since this is a liquid treatment, it will likely work faster than tablets, and since it’s designed for puppies, it can provide coverage from early on. This is a little different when compared to the other products on this list, as HomeoPet’s WRM Clear is an all-natural alternative. Unlike the other treatments, each of the ingredients in this treatment is derived from natural ingredients, meaning that it will be less likely to cause side effects. Keep in mind that this treatment works a little more slowly than some of the others, and it will begin to take effect after 2 to 4 weeks of use. By the end of the four-week period, the worms should be cleared from your dog's digestive tract without leaving behind extra bacteria in the intestine. WRM Clear is also designed to prevent reinfection by worms for up to two months after stopping treatment. As it’s a liquid, this treatment is easy for pets to ingest, especially when mixed with food. A huge benefit to this treatment is its versatility, as it helps remove tapeworms, hookworms, roundworms, and whipworms. Unlike other treatments, this one isn't meant to kill the worms in your dog's system; it instead makes the intestines flush them out. This means that there should be less residue left over once the treatment has been completed. Finally, you can rest assured that it's made of fully natural ingredients. The final choice on our list is the Nemex-2 dewormer, which comes in a two-ounce bottle. You can either order a single one or get a two-pack if you have to deal with a larger dog or several pets. This dewormer is made to deal with large roundworms as well as hookworms, making it relatively versatile. Another advantage of this product is that it tastes better than many other treatments, making it a great choice for dogs who will usually refuse medicine. You can even use this wormer with puppies, making it easier to keep your dog clear of parasites at a young age. While this treatment may be a bit more expensive than some of the other choices, it also works faster. Versatility is another significant benefit to this dewormer, as it can be safely used with cats as well as dogs. The dosage in this bottle should be sufficient for one medium dog or two smaller dogs. If convenience and versatility matter to you, then you'll probably love the Nemex-2 Dewormer. This product is designed to be as safe as possible, while remaining easy enough to ingest. Even dogs who usually hate medicine will be enticed by the flavor and aroma of this product. Deworming your dog is a safe and easy process. We have prepared a list of other factors that you should take into consideration before making your purchasing decision. These factors will help you to identify the most suitable dewormer to get for your canine buddy. One of the first things to think about when picking our your dewormer is whether or not it tastes good. While this can be tough to determine before you make your purchase, a better flavor will make it far more likely that your dog will enjoy the medicine, meaning that you won’t have to coerce them. Force-feeding a dog medicine can range from unpleasant to downright dangerous, depending on its size. Consider what kind of flavors your dog enjoys and try to find something that matches them. Some treatments (mainly powders) will be unflavored so that your pet won’t notice them. Another thing that you'll want to account for when picking out the best dewormer for your dog is whether or not it is safe. As with any medicine, there will be potential for side effects when using a dewormer, but the vast majority of them will not cause any adverse symptoms. While unsafe products may be uncommon, you’ll still need to do thorough research to ensure that the product will work with your pet. Consider whether or not your dog is pregnant and take a look at the recommended age for the product before you buy a dewormer that isn’t intended for your dog. Up next, take a look at whether or not a dewormer has been clinically tested before coming to market. A product that has been thoroughly evaluated in a professional environment will be more likely to work than one that is just substantiated by claims from the company that makes it. If you want to make sure that you aren’t wasting your money on a bogus treatment, you should usually opt for dewormers that have been tested like this. Keep in mind that clinical tests add to the developmental costs of a dewormer, which will then increase the price of the product. When picking out the best option to clear your pet of worms, it’s important to choose the right form of medicine. Some dewormers come available in powder form, which makes them easier to mix with canned dog food, and they usually don’t have added flavors so that they’re harder to notice. On the other hand, you have access to liquid treatments that can be mixed with dry dog food more easily. A liquid will usually work a bit faster than granules. The final option is a tablet, and these come in both hard and chewable varieties. The former can be crumbled into powder while the latter will be easier to eat directly. When picking out the best treatment for your needs, you'll also have to take a moment to determine the weight of your dog. Doses of dewormer are based on the mass of your dog, and you'll be able to find the right product if you know exactly how much dewormer you should use. Some products are optimized for larger or smaller dogs while others will allow you to make your own dosage. Picking out the right dosage based on your dog’s size means that you’re less likely to waste money on dewormer that you won’t end up using in the first place. The final thing to consider is how versatile your dewormer is and whether or not it can be used with other species. 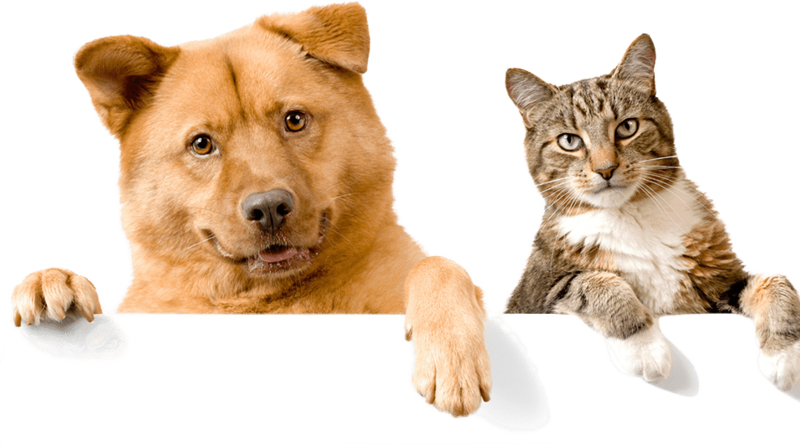 If you have both cats and dogs, you may want a dewormer that is safe for both of them. You’ll also want to take a look at the kinds of worm strains that are treated by a particular product. While these eight products are some of the best in their category, our favorite option is still the Panacur C Canine Dewormer. This product combines value for money with a fast-acting treatment that can help improve your dog’s quality of life over the course of three days. We hope that this guide has helped you find the best dewormer for your canine. Keep in mind that every dog is different, and the best choice for your pet may not be ideal for someone else’s.